Have you been thinking about making a few upgrades to your home? If you are, then why not go Green? Creating a green home can be easier than you may think. It simply involves making a few changes, and upgrading to more environmentally friendly, energy efficient materials. By implementing these changes and making your home a green home, you'll reap several benefits. You'll have a home that is healthier and more comfortable. 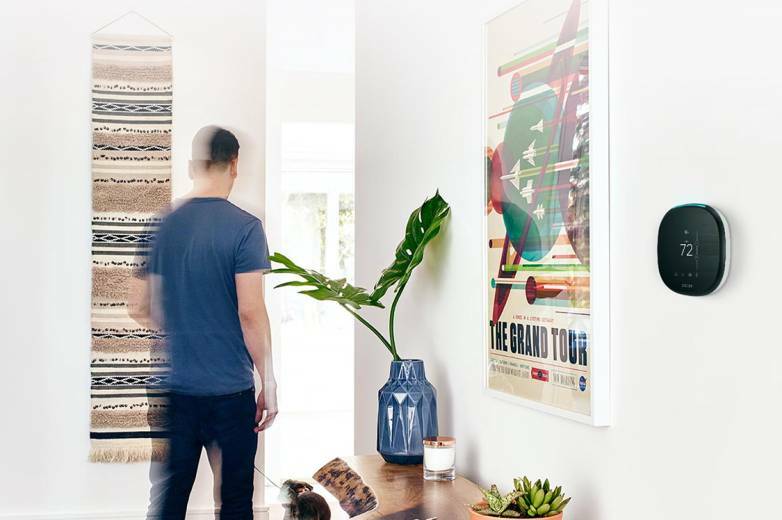 A home that requires less maintenance. Going green will save you money by lowering your monthly bills. It will boost your home's value. And, when you decide to sell your home, you'll pass the benefits on to the home buyer which they will love. Although metal roofs have been around for a long time, they first seemed unattractive and old-fashioned. They were mostly associated with commercial properties. Today they are being used more and more by builders, architects, and remodelers alike on residential properties. In modern design, metal roofs are not only aesthetically pleasing, but they are environmentally friendly and energy efficient. Environmentally friendly metal roofs are made up of anywhere from 25-95% of recycled content based on the material used. And at the end of their life (40-70 years) metal roofs are 100% recyclable. Metal roofs have a reflective surface making them energy efficient, and depending on your geographic location you can save up to 40% on your energy bills. However, if you do decide to change your existing roof to a metal roof, be sure to hire an experienced contractor. Proper installation is key with a metal roof, if not properly installed damage can occur. Insulation plays an important part of keeping your home cool in the summer and warm in the winter. There are many types of insulation to choose from, which can get a bit overwhelming. But here are several options that are environmentally friendly and energy efficient. Cellulose Insulation - a blown-in sustainable option made from up to 85% recycled newspapers, which is treated to resist fire, insects and mold. Wool Insulation - it's either blown-in or in batts. It's entirely sustainable, helps control moisture, is fire-resistant, long lasting, uses no harmful chemicals, and helps with noice reduction. Spray Foam Insulation - if you're looking for an "air-tight" option, this may be the way to go. Spray foam fills every nook and cranny, making it energy efficient. Saving you money on monthly heating and cooling bills. When deciding on which energy-efficient replacement window to choose, look closely at the glass. There are either double pane or triple pane windows, that are filled with air or argon gas (no worries, it's nontoxic) for additional insulation. An energy-efficient glass is coated with a low-emissivity (Low-E). The benefits of having a Low-E coating is that it reflects heat away from your home keeping it cooler, or reflects heat back into your home keeping it warmer. The materials often used for energy-efficient windows are either wood, fiberglass or vinyl. The choice is based on personal preference and cost. While there are quite a few smart thermostat models on the market, here are some features that they provide. The thermostat will allow you to make any adjustments to your home's temperature from another internet connected device, such as your smartphone. They work (via internet) with your local weather service to know in real-time what the temperature is on the outside of your home, and make adjustments inside. You can place sensors in different zones of your house to balance out the heating and cooling. A big feature, they save you money by lowering your heating and cooling costs. Environmentally-friendly, energy efficient upgrades may have a larger upfront cost. But the money you save in energy bills and the added value to your home will more than make up for the initial cost. 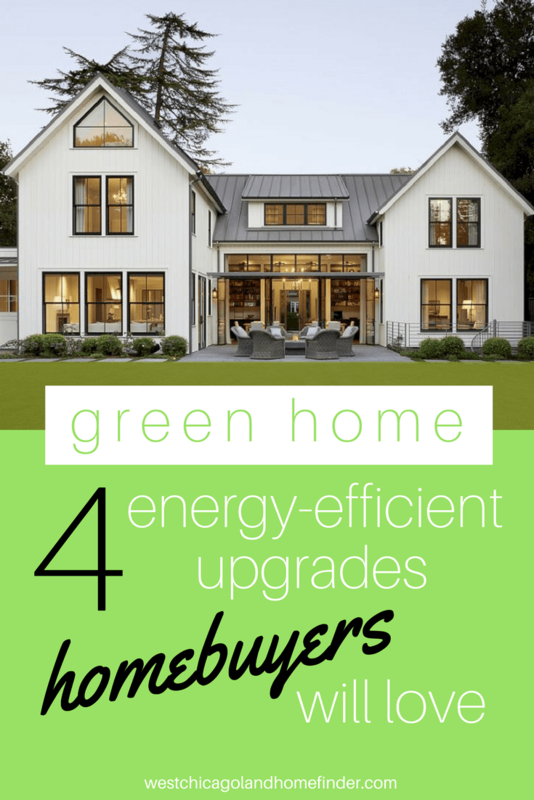 This Real Estate article "Green Home: 4 Energy Efficient Upgrades Home Buyers Will Love" was written by: Maria Mastrolonardo. Maria is a Realtor with RE/MAX of Naperville, who has been selling Homes in the West Chicagoland suburbs including but not limited to; Naperville, Wheaton, Lisle, Downers Grove, Aurora, and Winfield for 20+ years. Need help buying or selling a home? Call or Text Maria at (630) 248-6077 or email her at mmastrolonardo@gmail.com.